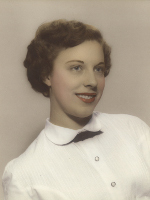 BALLSTON SPA – Marie Elizabeth Masters, 86, of Ballston Spa, died Saturday, January 23, 2016. Born Marie Smith in the Bronx, where she graduated from Walton High School, she attended Hunter College briefly and worked in New York City before moving to Yonkers to marry and raise a family. After her youngest started school, she began work as a church secretary in Yonkers and Riverdale. Later she assumed a secretarial position in the Biochemistry Department at Columbia University, where she remained for 12 years. In 1994, she and her husband moved to Albany to be nearer to family. A great believer in learning, Marie was an avid reader who encouraged and supported her children’s pursuits and was determined early that they would seek higher education. She loved gardening, baking, traveling, and crossword puzzles. As an enthusiastic bird-watcher, she was very active in the Yonkers Audubon Society and edited their newsletter for many years. She learned to swim in her thirties and to drive in her sixties. She will be remembered also for her tenacity and resilience in the face of considerable physical challenges. 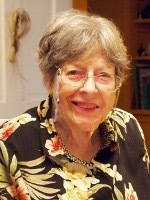 Marie was the beloved wife of Gabe R. Masters, who predeceased her in 1999 after 48 years of marriage, and the loving mother of Paul Masters of Albany (Jill Taylor); Gale Masters of Darrington, Washington (Phil Kincare); Andrea Masters of Ballston Spa (Bruce Piasecki); Clare Masters-Tutoni of Poughkeepsie (Joseph Tutoni); and Jonathan Masters of Albany (Heather Evans). She is also survived by five grandchildren, Thomas Gorman, Daniel Tutoni, Colette Piasecki-Masters, Gabrielle Tutoni, and Nicole Tutoni; one great grandchild, newborn Rosalie Ida Gorman; and treasured nieces and nephews on both sides of the family. The daughter of the late Carolyn (Nees) Smith and John Smith, Marie was also predeceased by her only sister, Joan Walker. Contributions may be made in her memory to Oxfam America, the Southern Poverty Law Center, or the Albany Friends Meeting (Quakers). To leave a message of condolence for the family, please visit www.HansFuneralHome.com. Very sorry to hear of your mom’s passing. My thoughts and prayers are with you and your family at this difficult time. Earlier today I happened upon something that made me think of your mom and, on a whim, I Googled her name. I was very sorry to learn of her rather recent passing and want to extend my heartfelt condolences to your family. I was a graduate student at Columbia when your mom was in Arthur Karlin’s lab. She truly was the voice of reason and sanity in that place and we all appreciated greatly her ability to stay calm in the midst of a storm and her wonderful, wry humor. I was always so impressed by her wealth of knowledge about the outdoors, as I thought of her as a “city girl,” but she also seemed to know a lot about many things. She really did embrace lifelong learning! And could she bake! I still have a couple of recipes that were passed around the lab. Though not the bragging type, your mom was immensely proud of you, as I’m sure you are of her. A great woman! I’m glad I had the chance to know her. Our thoughts are with you from the other side of the Atlantic at this difficult time.